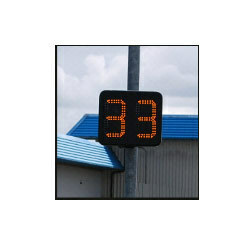 MICROPROCESSOR BASED SINGLE / DOUBLE SIDED INDICATOR WITH ANALOGUE INPUT. Display Size: 4 inch 7 segment led display. Display Color: Red / Green. Side: Single side / Double side. Dynaspede Tachogenerator construction makes it ideal for digital processing for the purpose of speed indication or control. Digital speed indicators can be easily implemented by counting the pulses from the Tacho for a finite interval , depending on the display proportionally. - Birla Precision offers wide range of special work holding equipments for I.D & O.D holding applications. - Standard expanding mandrels like between centre application / face plate mounted with draw bar operation are available for grinding & turning applications. Precision Instruments & Electronics (Madras) Pvt. Ltd.
Owing to the wide experience of this domain, we are instrumental in offering Torque Speed Power Indicator to our clients. Our company holds vast experience in this domain and is involved in offering Wind Speed Indicator.